Just playing my way into Sunday's final group of the #Masters, no big deal. Jim Furyk drops a shot on the 18th, which is rather jolly annoying for him. It's an evens 72 today for the vastly experienced American but he's still in the mix for tomorrow. Hmmm, a second successive birdie for Blixt as he nails his putt on 16. Moves into joint second with Speith. Watson has now posted five pars on the bounce after holing on the 15th. After what was a rollercoaster first 10 holes, he's settled down into a steady rhythm. 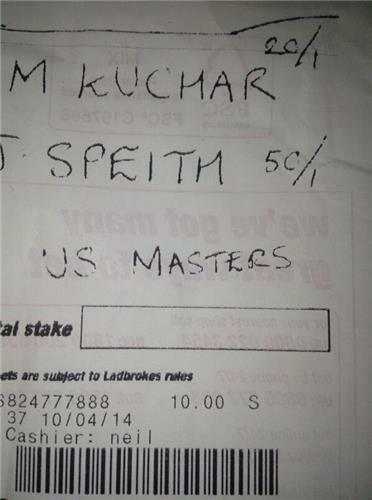 Hoping Spieth wins The Masters now, although being in USA, he won't be able to have a celebratory drink! Watson misses a little tiddler on the 16th to drop a shot and we've got a trio of players locked at five under. We are down to three pairs still out on the course - Scott & Spieth, Bjorn & Blixt and of course Watson & Senden. Watson straight and true off the tee at 17 ... and of course very, very long. Bjorn drops one on 17 and the Dane has had a bit of a nightmare, bogeying three of the last five holes to slip to one over for the day. Blixt also errant on the 17th, dropping a crucial shot to fall back to four under. 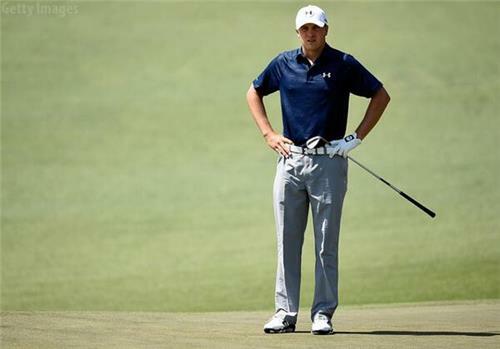 Jordan Spieth finished the day tied with Bubba Watson for the lead at the Masters. 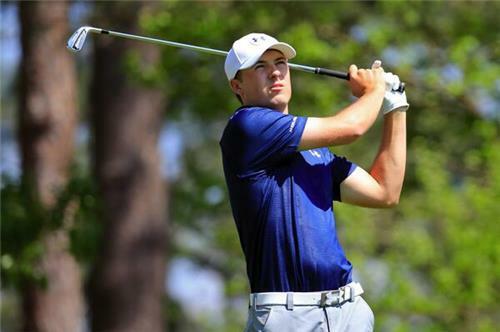 Spieth would be the youngest ever to win the Masters. Great putt from Watson on 17 to save par. This is unreal. 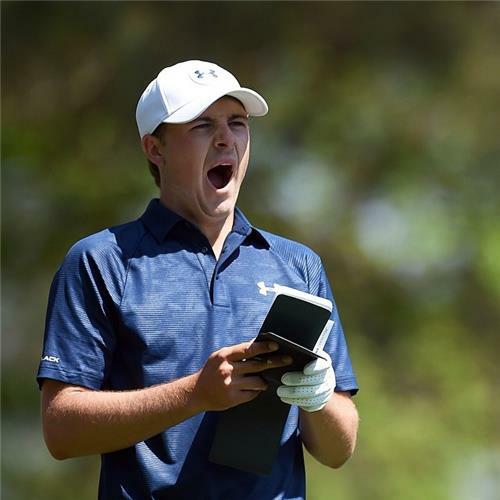 Spieth is unreal. The Masters never ceases to amaze. Watson hits the crowd with his approach to the green at 18 but gets lucky as it bounces off a spectator's to keep it close. Jimenez has a chance for the title. Possibly the most deserving and possibly his last chance at the #Masters . Three questions for @The_Masters Sunday. (1) Who goes down in flames? (2) Who shoots 32 on the back 9 to win it? (3) Who has a car crash? Senden misses! A disappointing end for the Aussie, who drops back down the field but Watson makes no mistake to ensure he's on level terms with his young whipper snapper compatriot Spieth going into the last day. Right time for us all to take to our beds to ensure we're suitably refreshed for tomorrow's denouement. The big story is of course 20-year-old Jordan Spieth playing in only his third Major and yet in with a real shout of becoming the youngest champion in Masters history but the truth is any of the players all the way down to Ian Poulter on evens has a genuine chance of triumphing. Lee Westwood will spearhead the British charge while another round of 66 from Miguel Angel Jimenez would put the cat among the pigeons. We'll be back with more live coverage at 7pm BST on Sunday and we hope you'll join us. Good night and sleep tight. Two-time champion Bernhard Langer is rolling back the years. The 56-year-old German is three under for the day and evens for the tournament after seven. John Senden striving to make up for what was an underwhelming third day for the Australian. Making a decent fist of it with a birdie on the second. The ever popular Fred Couples making a bit of a move with birdies on the 1st and 2nd. A repeat of 1992 anyone? Lee Westwood safely pars the 1st. Always nice to get the first hole under your belt free from disaster and disappointment. Bad news for all those with dear old Blighty close to their hearts. Justin Rose dropped a shot on the 1st. 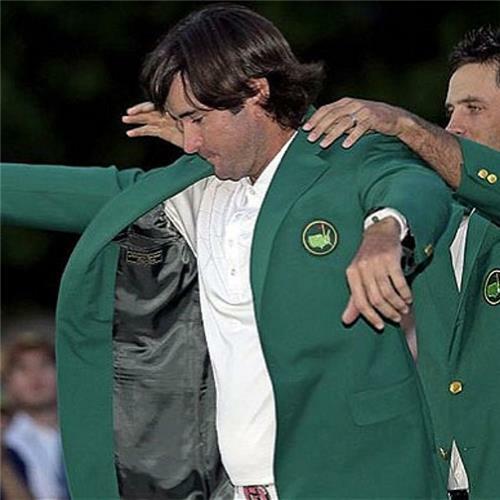 Not too long now before Bubba and the young pretender Jordan Spieth are out. 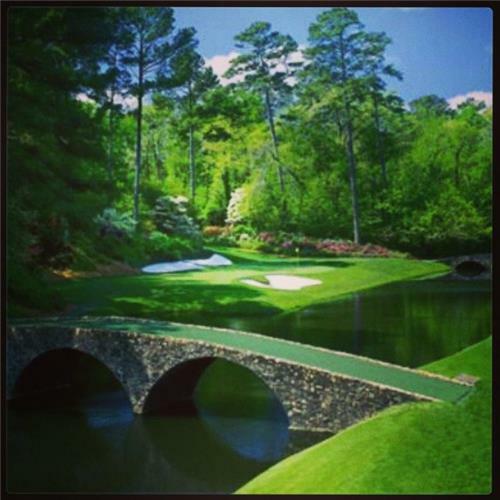 Did you know that 19 of the last 23 Masters champions have come from the day four final pair. No? You do now. Better news for the Brits as Rose birdies the 2nd to make up for the mess he made of the 1st. Evens for Justin today but it's still exceedingly early doors. The penultimate pair of Jonas Blixt and Matt Kuchar are up and running, both driving handsomely and straight off the tee at the 1st. What a difference a day makes. Miguel Angel Jimenez was majestic (if you ignore the ponytail) yesterday in shooting a tournament best 66. He kicks off Sunday with a bogey on the 1st. This is gonna be a long night watching the #masters come on Westwood! !